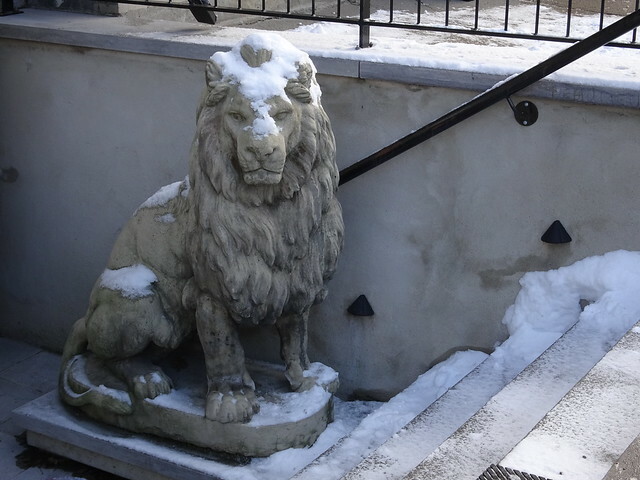 This large lion sits at the bottom of a stairwell, no longer guarding the antique store. He and his partner once sat proudly at street level by an antique store. When the store moved they, too moved, down into this stairwell guarding the new location. That did not last long. The store moved once again, morphing into a flower shop and there was no room for these majestic fellows at the new location. So they sit, abandoned. 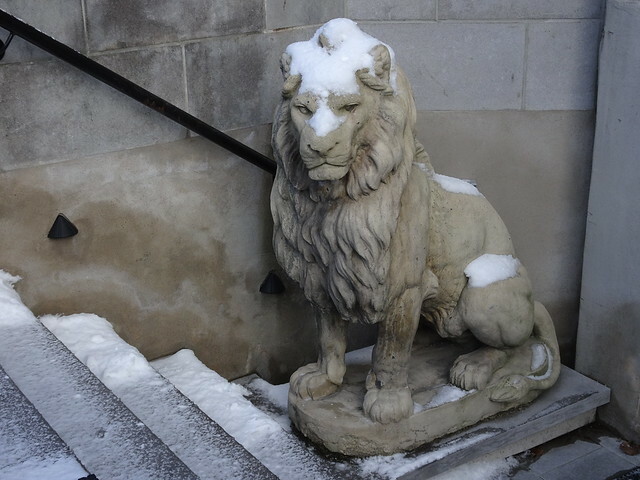 No one to brush the snow off their manes, no one to make their way down the stairs in search of treasures. They seem to be scowling at their fate. It is sad, but they look like they are still proud of guarding an antique store. I would be happy if I could clear away the snow on their snow. The snow on their snow meant the snow on their heads.Sorry!